Europa, Europa and the boot for boring bosses. Now, before Marseille and Atletico Madrid fans get a little hot under the collar about Sports Burst’s title today, it has a lot of love and hugs for both team. Honestly. After all, Atletico assistant coach, Mono Burgos – and the man on the sidelines in Lyon - once stood on the foot of the column and it has not been washed since. But let’s look at the qualifications for being in Wednesday’s Europa League final in the first place. 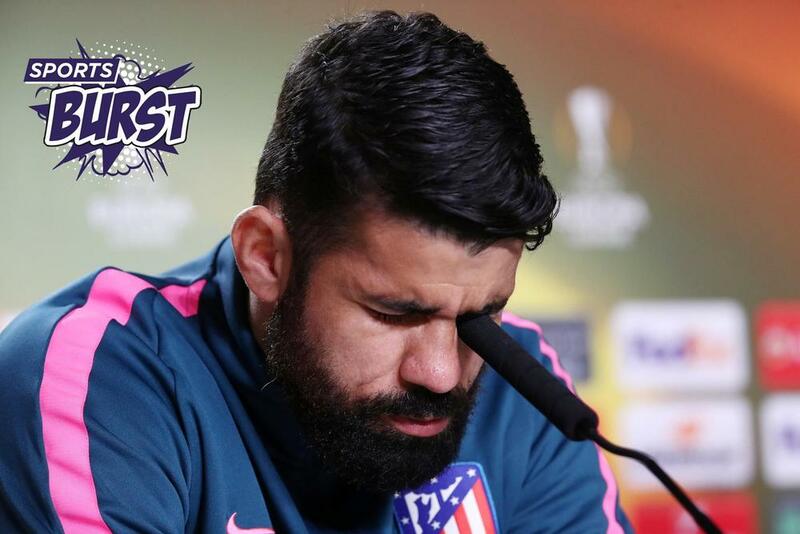 Either not being good enough for the Champions League – looking at you Marseille – or not being good enough to stay in the aforementioned Champions League – looking at you Atletico Madrid. However, a trophy is a trophy even if it is nothing more than a downright communist-sounding participation cup those red-tinged Europeans are so fond of. In the blue corner, Marseille – a team that cannot compete on a domestic front against PSG but used to be France’s big cheeses. The Europa League will go some way to restoring some glory. In the red corner, Atletico Madrid – a team whose double Champions League final failure against Real Madrid still makes supporters wake bolt upright in bed with a gasp in the middle of the night, in the kind of reaction that only seems to happen in TV-land. Anyhow, the good people of Canada can catch this game in Lyon live on beIN SPORTS at 2:45PM ET / 11:45AM PT or catch up with all the action on the XTRA at 7PM ET / 4PM PT and hear the thoughts of the great Ray Hudson. Everton need a new boss. The Premier League outfit has pulled the plug on Big Sam Allardyce after a tenure lasting just six months and must now begin the search for a new manager that will not make watching the team akin to....West Ham United. ‘Fireman Sam’, who tends to rescue clubs in relegation trouble before being kicked out, is expected to be appointed Cardiff City boss in November. West Ham joint-chairman David Sullivan on departing manager David Moyes. And in coincidental BREAKING NEWS, the Hammers have decided to part company with dour David Moyes – also served just six months - in the hope of getting hold of an international bright young thing to help the London club forget a fairly troubled season. "We feel that it is right to move in a different direction,” announced West Ham’s joint-chairman, David Sullivan. Trivial but none-the-less entertaining World Cup news and the Argentinean Football Association has fallen foul of the ‘what were you thinking?’ law, suffering a backlash over the release of a manual for Russia for traveling journalists. All very thoughtful, aside from a chapter on “how to stand a chance with a Russian woman.” The guidance – which was then swiftly removed – was to "look clean, smell nice and dress well." And while we are heading in an Argentinean direction, Diego Maradona's largely unspectacular managerial career has reached a peak with the Salt-Bae-fixated figure moving upstairs to become chairman of Belarus outfit, Dinamo Brest. Maradona was available having recently left his post as manager of United Arab Emirates second tier side, Al Fujairah. A 40-point triple double was not enough to see the Cleveland Cavaliers bounce back in their NBA play-off conference final series against the Boston Celtics. Instead, the New England outfit prevailed in a 107-94 victory to take a dominant 2-0 lead. The Golden State Warriors are back in action in their game-two clash against the Houston Rockets and looking for a second victory in Texas. Onwards to hockey and the Stanley Cup conference finals are also in full throttle with the Tampa Bay Lightning defeating the Washington Capitals to take a 2-1 lead in the series. The Las Vegas Golden Knights host the Winnipeg Jets in the other series tonight, tied at 1-1. The life philosophy of Sports Burst is that if you are not upsetting someone, then you are not trying hard enough. Sports Burst is a daily trawl and troll through the morning's sports news to bring you fact-nuggets to make you both smile and swear. Hopefully at the same time. Previous Sports Burst – Balotelli Is Back! Next Sports Burst – Buffon Leaves For Liverpool?